Kumar Sangakkara played 134 Tests, 404 ODIs and 56 T20Is from 2000-2015, scoring a total of 28,016 international runs with 63 centuries and 145 half-centuries. As a wicket-keeper, he accounted for 748 batsmen. 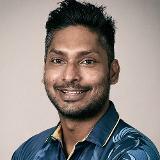 Sangakkara won the ICC Champions Trophy 2002 and ICC World Twenty20 2014 with Sri Lanka, while he also played in the final of the ICC Cricket World Cup 2007 and 2011. This was a great victory for Sri Lanka and a much-needed one. It meant a lot to the Sri Lanka team to chase down that very stiff total and to do it with such ease will have been hugely satisfying. 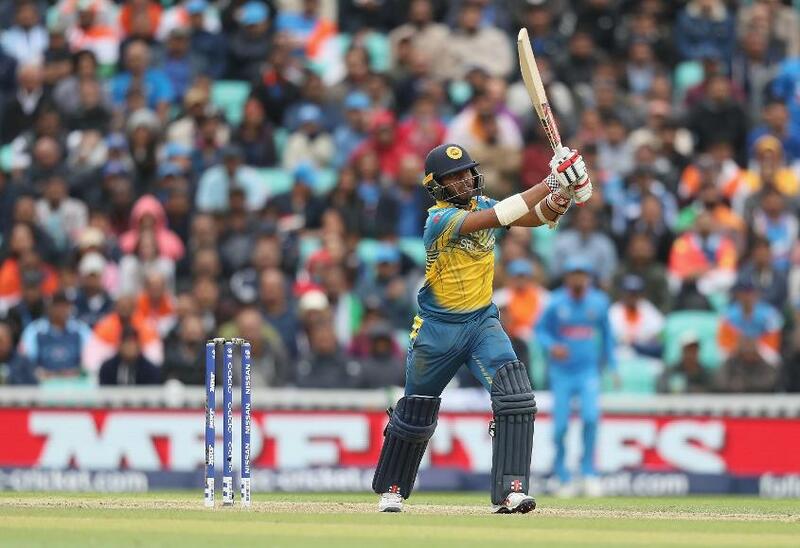 There is no doubt, Sri Lanka would have had a few worries coming into this game given recent form, injuries to key players, and the suspension in the last game of stand-in captain and in-form opener Upal Tharanga. Tharanga’s suspension though created a great opportunity for Dhanuska Gunathilake. He had previously been left-out of the playing XI but remained in the squad with a point to prove. And what an inclusion he proved to be, as he led the Sri Lanka run-chase, ably joined by Kushal Mendis. The two youngsters are two stars for the future and they showed that they not only have youth and skill, but also the temperament. Danushka Gunathilaka kept things afloat for his side with a fine half-century. The return of Angelo Mathews naturally strengthened the Sri Lanka side immensely. He was missed sorely against South Africa and he guided the Sri Lanka middle-order with just the innings that Sri Lanka needed. He knows how to play under pressure, he is the best batsman that Sri Lanka has, and he showed it again today with a masterful knock, guiding Sri Lanka to victory. Asela Gunaratne, one of my batsmen to watch from the start of the tournament, was sent in ahead of Dinesh Chandimal and contributed a wonderful little cameo. But with the two run-outs under pressure, the innings that Kushal Perera played was outstanding. Sri Lanka had a wonderful combination of youth and experience together in the middle-order, doing what they needed to get the team a much-needed victory. They are now set up for their next encounter against Pakistan as a virtual quarter-final. But Sri Lanka should not get too carried away with the win. They should be realistic about the issues that Sri Lanka may still face. Kusal Mendis showed that he not only has the youth and skill, but also the temperament. Kushal Perera might miss his next game with his hamstring injury. Hopefully, the team won’t have a captain penalised again for a slow over-rate and, in the field, Sri Lanka can get a lot better. The bowling lacked bite and penetration. We also had a couple of questionable bowling changes, such as Gunaratne bowling three overs for seven runs and not being bowled again. I was very impressed with Thisara Perera, coming in again after being left out, another like Gunatillake deemed not good enough and not the match-winner the team have hoped for. But he proves that sometimes when you trust players, push them and believe in them, they respond. Thisara bowled really well under pressure and he was key to limiting India to 320 after a stage when it could have gone on to score a lot more. India, on the other hand, will rue what it might consider a missed opportunity. It batted beautifully with Shikhar Dhawan excelling having set the tone early on. He forms a brilliant opening partnership with Rohit Sharma that is giving India great starts and a lot of confidence. For its next match up, India might be looking to change its line-up and maybe bring in Ravichandran Ashwin, maybe leave out Hardik Pandya, possibly Kedar Jadhav. But, whatever it decides to do, it needs to do it decisively, because for it the South Africans now await in another effective quarter-final. Cricket, has once again proved its eternal unpredictability. I expected India and South Africa to dominate the group, but now its wide open with two classic matches ahead. Today, though, the story was all about Sri Lanka and how, after a rocky start to its ICC Champions Trophy campaign, it played like the young talented team that they say they are, playing fearlessly and freely with strong belief. © ICC Business Corporation FZ LLC 2017. All rights reserved.